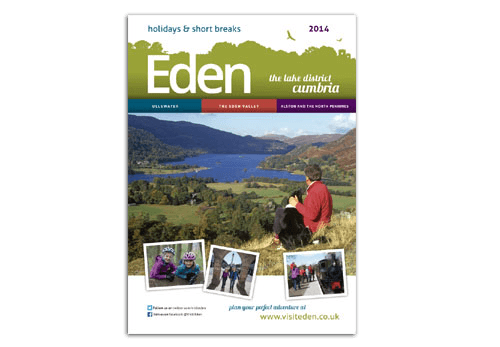 Designworks has produced the 2014 Visitor Guide for Eden, the Lake District. The A4 guide provides information on food & drink, attractions, events, accommodation listing and travel planning. The editorial takes into account the demographic of the visitor and is split into five areas: ‘explore’, ‘culture and history’, ‘tranquil and relaxing’, ‘action packed adventures’, ‘eat, drink and discover’.